Toyota's all-new, redesigned 2019 RAV4 is now available at Bob Richards Toyota and is sure to excite Augusta, GA area drivers and families! The all-new 2019 Toyota RAV4 features a stunning new exterior design along with a reimagined cabin that makes use of Toyota's latest tech features, including standard driver-assist technologies that you won't find on much of its competition. 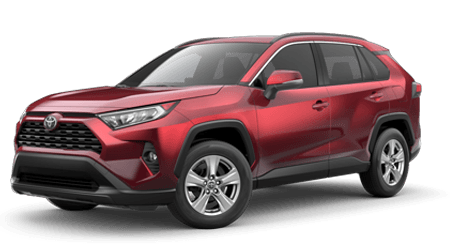 Shop and visit Bob Richards Toyota in North Augusta, SC for your chance to get into a new Toyota RAV4 for sale and experience its innovative features. Stop by from nearby Aiken, SC when you are in the area and let our sales associates give you a tour of your next Toyota SUV! If you're looking for a compact SUV with sporty, off-road inspired styling, then look no further than the 2019 RAV4. What's even better than its all-new style is that its new look is backed by impressive power, control and efficiency! The RAV4's standard 4-cylinder engine can be paired with front-wheel drive or available All-Wheel Drive (AWD) with Multi-terrain Select. There's also the RAV4 Adventure model which utilizes Dynamic Torque Vectoring All-Wheel Drive (TV-AWD) for enhanced all-weather traction. The upcoming RAV4 Hybrid models make use of Toyota's famed Hybrid Synergy Drive system along with a 4-cylinder engine to generate 219 combined net total system horsepower along with the RAV4 lineup's top city and highway fuel economy ratings! The redesigned 2019 RAV4 is packed with Toyota's latest tech amenities, including the new editions of Toyota Safety Sense™ and Entune™ Audio. The new Entune™ 3.0 Audio boasts Apple CarPlay® and Android Auto™ integration so that you can seamlessly connect to and navigate your phone's app while on the go. 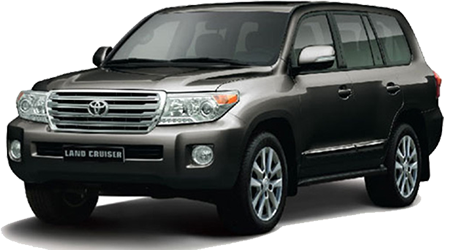 Whether you are shopping from nearby Augusta or Evans, GA, you can explore our complete inventory of new Toyota vehicles for sale in North Augusta, SC here on our website before your visit. We offer an array of financing solutions, so don't hesitate to apply for auto loans on our website today.